Your guide to getting—and staying—strong through the years. If your workout doesn’t include strength training, you’re missing out. 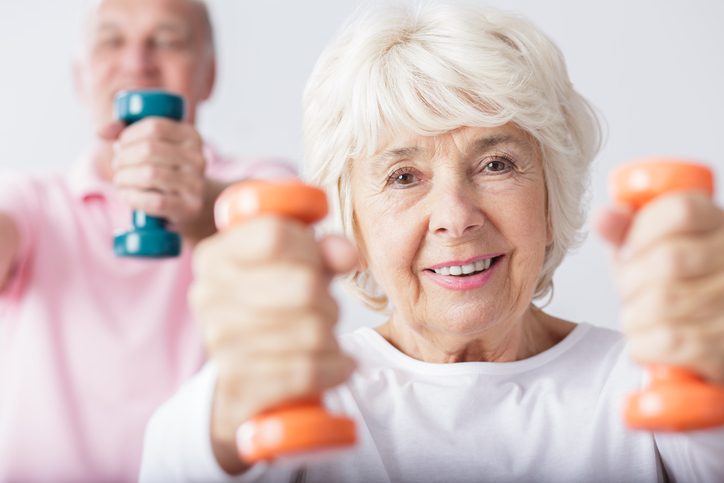 Strength training can ward off age-related muscle loss, keep your bones strong, promote mobility and function, prevent falls, and even help combat depression and cognitive decline. But if you didn’t perform much strength training in your younger years (and even if you did), hitting the weight room now can be intimidating. Don’t sweat it! This guide will help you approach strength training in a safe, effective, and fun way that will keep you strong for life. If you’re new to strength training, which is also referred to as resistance training, don’t stress about all the exercise equipment lining your gym floor. Instead, focus on performing exercises using your own body weight, learning proper form and building a base level of strength before adding extra challenges to the mix, recommends Gavin McHale, a certified exercise physiologist based in Winnipeg. Doing so will reduce the risk of exercise injury while also allowing you to get better results from future workouts. When performing basic bodyweight movements (we’ll get into some of the best later), work up to performing three sets of 10 to 15 reps, McHale says. When that starts feeling easy, it’s your cue to progress to weighted workouts. Start with the smallest amount of weight available at your gym and increase loads as you feel comfortable. (If your gym has 2.5-pound weights, great.) Depending on the exercise you’re performing, resistance bands can also be great alternatives to traditional free weights like dumbbells. Try to perform three sets of eight to 12 reps, prioritizing good form above all else. If you need help perfecting your form, ask your gym about working with a personal trainer, recommends Tiffany Chag, M.S., R.D., C.S.C.S., a strength coach with the Hospital for Special Surgery in New York City. 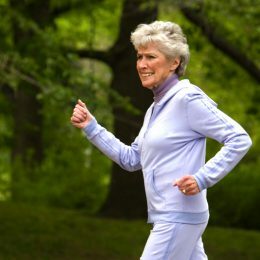 All exercisers, no matter their age, can benefit from some one-on-one lessons. Aim to do strength-training exercises three to four days per week, on nonconsecutive days. (Your cardio workouts are great for those alternate days.) Keep in mind that this might take some easing into. 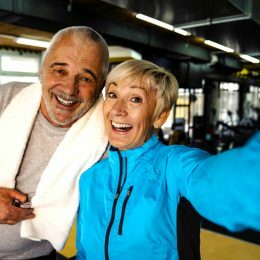 While muscle soreness isn’t a bad thing — it’s your body telling you that it’s getting stronger — exercise recovery tends to take longer as we get older. Giving your body ample time to adapt and recover from each workout will ensure you get the best benefits possible. 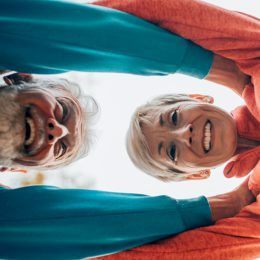 By strengthening the body’s largest muscle groups through functional movements, these exercises will translate to improved performance at everyday tasks such as climbing stairs, carrying groceries, and playing with your grandkids. As you become stronger, you’ll be able to increase their difficulty. You can perform these exercises individually: Aim for three sets of 10 to 15 reps. Or you can do them as a circuit workout: Do a set of exercise one, a set of exercise two, and so on. Once you’ve completed all five exercises, that’s one round. Do three rounds total. Stand tall, feet hip-width apart, in front of a chair with your arms either crossed over your chest or extended straight in front of you. Keeping your weight on your heels, slowly push your hips back and bend your knees to lower yourself to the chair with control. As soon as your rear touches the seat (don’t sit down! ), push through your heels to return to standing. Focus on keeping your chest up and not letting your knees buckle in or out. Make It Harder: Once you become comfortable with squatting to a chair, you can try squatting to a knee-height box or holding a dumbbell or medicine ball at your chest throughout the exercise. Stand facing a bench, sturdy piece of furniture, or countertop. Place your hands on its edge, slightly wider than shoulder-width apart, and extend your feet back behind you until your body forms a straight line from head to heels. Your arms should be perpendicular to your body. Keeping your back straight and core braced, bend your elbows (they will flare out slightly from your sides) to lower your shoulders to your hands. Pause, then press through your hands to return to start. Make It Harder: As you get stronger, reduce the incline until you are performing pushups flat on the floor. So if pushups using a countertop start to feel easy, try them using a bench. Tie a resistance band around a sturdy banister (or anything that will not move) at elbow-height. Grab the two ends of the band, palms facing each other. With your feet firmly planted on the ground and your chest up, pull the band straight back until your hands reach the sides of your ribs, squeezing your shoulder blades together as you do so. For added resistance, increase the distance between you and the banister. You can also perform rows with a cable machine at the gym. If you want to try bent-over rows with dumbbells, talk to your physician or a trainer first to make sure that your lower back is healthy enough for the movement. Make It Harder: If you’re using a band, you can ramp up the intensity by increasing your distance or speed of movement. If you’re using a machine or dumbbells, increase the weight or intensity. Stand tall with your feet hip-width apart. Place your hands on your hips (you can also place one on the back of a chair for support), and take a big step backward with one leg, landing on the ball of that foot. If you can put your back heel down, you need to step farther back. Keeping your torso vertical, slow lower your body as close as you comfortably can to the floor. Make sure that your front knee doesn’t extend far past your toes. (If you have troublesome knees, you can lean slightly forward from the waist to reduce stress on the joints.) Pause, then press through your front heel to bring your back foot forward and return to start. Repeat on the opposite side. That’s one rep.
Make It Harder: Bodyweight lunges are plenty taxing for most older adults, but if you need an extra challenge, you can increase resistance by holding a small weight in each hand. Lie flat on your back with your arms extended straight up in the air directly above your shoulders and your knees bent so that your shins are parallel to the floor. Press the small of your back into the floor and brace your core. While keeping your core tight and knees bent, lower one leg and the opposite arm behind you toward the floor. Pause, then lift them back up to the starting position. Repeat with the opposite arm and leg. That’s one rep.
Make It Harder: Once this becomes easy, try performing it with your legs fully extended, rather than bent.